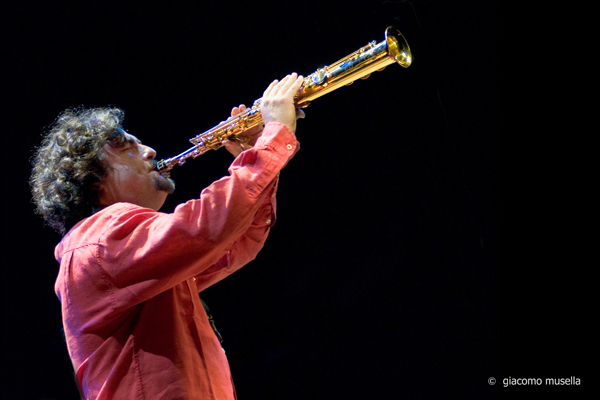 Since Mirko Guerrini arrived in Melbourne from Italy in 2013, he has had the chance to meet and play with some of the most outstanding Australian musicians. Bassist, Tamara Murphy is one of the first bass players Guerrini played with, and he was immediately taken her “approach and heavy groove without any compromise with the melodic content since the first note”. Niko Schauble is Guerrini’s most solid musical relationship in Australia. His incredible flexibility and knowledge of the drums, makes interplay easy and rewarding. Andrea Keller is one of Australia’s most regarded pianists, renowned for intelligent melodic development and purity of sound. In Mirko’s words, “this band is everything about melody. Horizontality as the main musical approach. You will hear all original music, mostly written exclusively for this band, where the four players are treated like single voices, part of a polyphonic ensemble. Harmonic content is created by the horizontal movement of the voices, and the high degree of interaction between the four musicians will blend everything together”.